"When needed, her fingers move quickly on “Field Guide”, picking up the pace of the wordless conversation, then slow to a moody pace just the same. Lush, rural landscapes are brought to mind. So is happiness." "Sarah Henson learned to play guitar and banjo at the foot of the black mountains in North Carolina. That's how the press text I've found, starts. 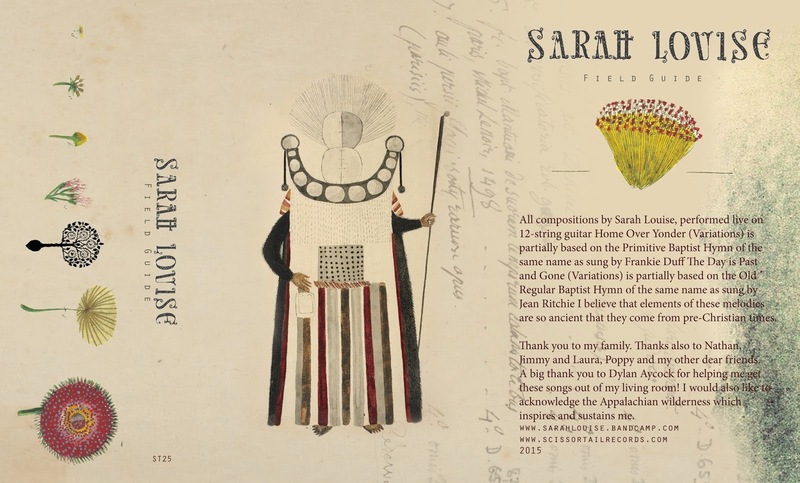 Under the name Sarah Louise, she released two beautiful folk albums and especially her latest release Field Guide is first and foremost a great fingerstyle, solo guitar album. Her music is definitely colored by the land and the nature that surrounds her (at least that's what I know about Asheville, NC and the Blue Ridge Mountains). I imagine a creek that tumbles down the hills, glistening in the sun. That's what her guitar playing sounds like. That's probably why she named it Field Guide." 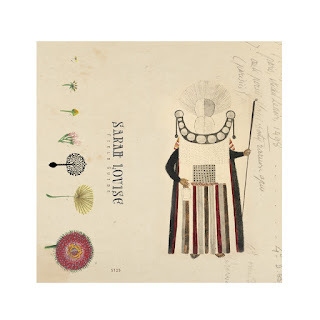 "Her new album Field Guide is coming out in the New Year on Scissor Tail Editions and it feels like a lost disc from Harry Smith’s Anthology of American Folk Music. Some of the tracks are inspired by old Appalachian hymns, while others have an almost far-Eastern meditative feel. It’s really, really good."